Promotion is defined as the range of activities that communicate the benefits of the product to the potential buyers, so as to attract and instigate them to buy it. It includes activities like direct marketing, sales promotion, personal selling, advertising and public relation. All of these are considered as a sales push strategy. Personal Selling is described as a promotional tool whereby a sales representative, presents the product before the potential customers and informs them about its quality and functionung by directly visiting them. Sales Promotion, on the other hand, uses schemes, offers, and incentives for short term to boost the sales. It is also known as ‘below the line activities’. There are some differences between personal selling, and sales promotion has been compiled in this article. Have a look. Meaning Personal Selling is a marketing tool in which the sales person presents the goods to the customers and instigates them to purchase it. Sales Promotion is a range of non-personal marketing activities that are carried on to initiate sales of product and service. Personal Selling is defined as the demonstration of products and services to the potential customers and convincing them to purchase it. Also known as Salesmanship. It is a two-way process, where both buyer and seller derives benefit. It is a face to face interaction between the prospective customer and the sales representative whereby the salesman displays the goods to the customer, describe its features & utility, demonstrates its functioning, answers the customer’s questions, tells the price & discount available and persuades them to buy it. In this kind of selling, the customer gets the full fledged information about the product and can physically verify it, to come to a decision. Many times, direct visits at the customer’s houses are also done to promote sales. With the help of this tool, the message can be conveyed to every customer separately, and immediate response is available from them. In addition to this, demand for a product is also created along with the expansion of the market. This type of selling can be seen in saree shops, stores of electronic items, car showrooms, etc. 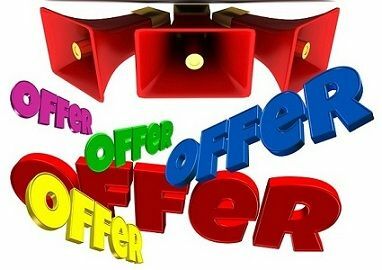 Sales Promotion refers to a marketing tool that helps in initiating sales, by employing special incentive scheme for a limited period to lure the prospective customers of the target market, to undertake an action. Under this selling method, the offer is available to the customers for a fixed term only and not throughout the year i.e. only for festivals or special occasions, or end of the season or on the ending of the year. It involves all those activities other than advertising and personal selling that help in hiking up sales of the product as discount up to 50%, Christmas sale, Get 20% extra on 1 kg pack, free gifts, etc. Personal Selling is an element of promotional mix, where salesman visits the customer and displays the goods to initiate the purchase. 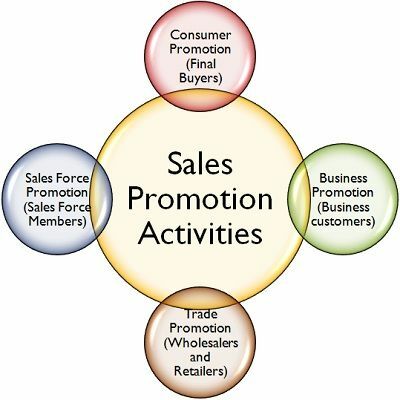 Sales Promotion is a tool used to stimulate sales by employing incentive element to attract customers. The effect of personal selling can be seen in the long run when there is an increase in sales. Conversely, sales promotion activities may result in an instant growth in sales but for a short term only. Personal Selling is an expensive tool as compared to Sales Promotion. Personal Selling involves face to face interaction between prospective buyer and the company representative which is not in the case of Sales Promotion. In personal selling the market size is small, and that is why there are few customers only. Unlike Sales Promotion, where the market size is large, so there are end number of potential customers. The major tool of sales promotion is the incentive schemes and offers, but these tools are not used in case of personal selling. Personal Selling is used when the product value is high, and it is difficult to understand, whereas Sales Promotion the product value is comparatively low and easy to use. The objective of personal selling is to supply information about the new or existing product and create awareness in them, to generate demand for the product and make them regular customers. Through sales promotion, the customer gets products at reasonable rates and it also helps to retain customers for a long time.